GUEST POST by Joel Comiskey, Ph.D., president of www.joelcomiskeygroup.com. I really wanted John to replace me as the small group point person. He was knowledgeable, talented, friendly, and likable. He was a good friend and always positive. But he was the wrong guy. Why? He just wasn’t FAT. Or better, he wasn’t FAST. FAT works as well; it just leaves out the servant-orientation and might offend people in the process (although I do like to see people’s reactions when I tell them I’m looking for FAT people). But I was still convinced that John was the one. I just need to meet with him more frequently, I thought. Or maybe he just doesn’t understand the importance of being in a small group. So I talked to him more, showed up at his work for a visit, and gave him more attention. And during those times, he was all in. John was positive, confident, and agreeable. John’s problem was not his ability to lead the group; it was an internal problem of priorities. He lacked the deep-down commitment of making the Life group his priority. It was a value problem. He just wasn’t FAST. Now he might get there, but I realized that I simply had to redirect my attention to someone who was already FAST. Tom was FAST. Yes, he was a newer Christian and had certain personality quirks. He lacked the knowledge of John, but oh was he FAST. He never missed and was even on time. I could count on Tom. Granted, Tom needed more training, and I would have to work with him, but he was FAST. I wouldn’t get the dreaded text message on Life group night. I’ve been reminded by this experience to look for those who are FAST. 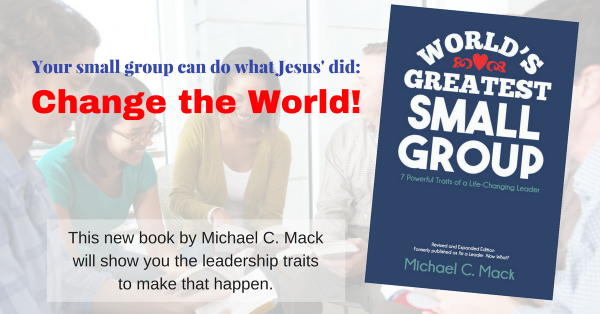 There are a lot of talented people in the world, but if they don’t value small group life enough to make it a priority, they will never be the type you can count on. The writer of Proverbs summed up my feelings precisely, “Like a bad tooth or a lame foot is reliance on the unfaithful in times of trouble” (Proverbs 25:19). Faithfulness and availability always trump talent, personality, and expertise. Someone rightfully said that most of what we call success is simply showing up. Just showing up time after time wins the battles and places people in a position to learn, grow, and achieve great things. As you look to develop leaders in your group, just remember that your leadership choice needs to start with those who are FAST.